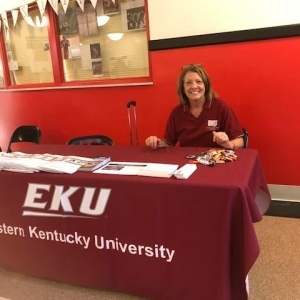 EKU will be at HCTC's Transfer Tips and Treats week on October 24, 2017 from 10 - 2. There will be snacks and door prizes! 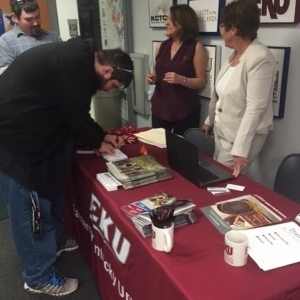 GEAR UP Promise Zone "Not Your Typical College and Career Fair"
EKU Hazard's Regional Coordinator, Jeannie Trumbo joined HCTC in their GEAR UP Promise Zone September 26, 2017 to share information about the regional campuses and the Criminal Justice program with high school students from other counties. Students attended first day of classes for the Fall 2017! 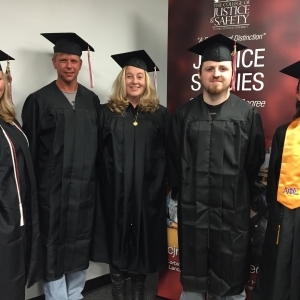 Gail Creekmore and Jeannie Trumbo spoke with EKU graduate Joe Spicer and his brother Jacob Spicer, who will begin the BS program in Criminal Justice for Fall 2017, at the "Spring into Transfer" event at UCM. On Febuary 28, 2017 EKU's Criminal Justice students and Hazard Regional Coordinator, Jeannie Trumbo joined HCTC's Criminal Justice Program for the Blue Black event. 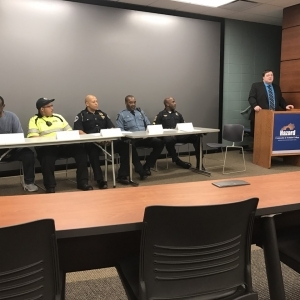 The event involved a panel discussion consisting of African-American police officers from Southeastern Kentucky. The program discussed their experience as police officers; as well as unique challenges they had faced. 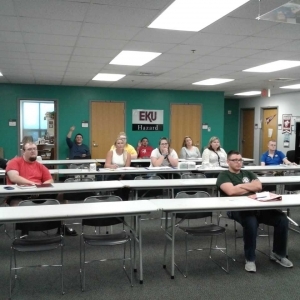 Eastern Kentucky University has had a long-standing reputation for producing highly qualified graduates in the field of criminal justice. 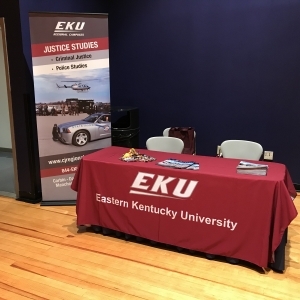 EKU offers a BS Degree in Criminal Justice in Hazard. 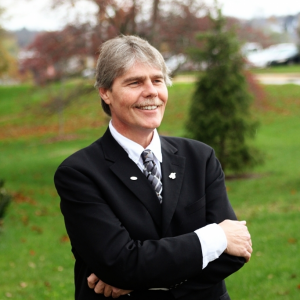 Full time EKU criminal justice instructor, Stephen Kappeler coordinates the program and teaches at the Hazard campus. Mr. Kappeler is also available to advise students.